1. 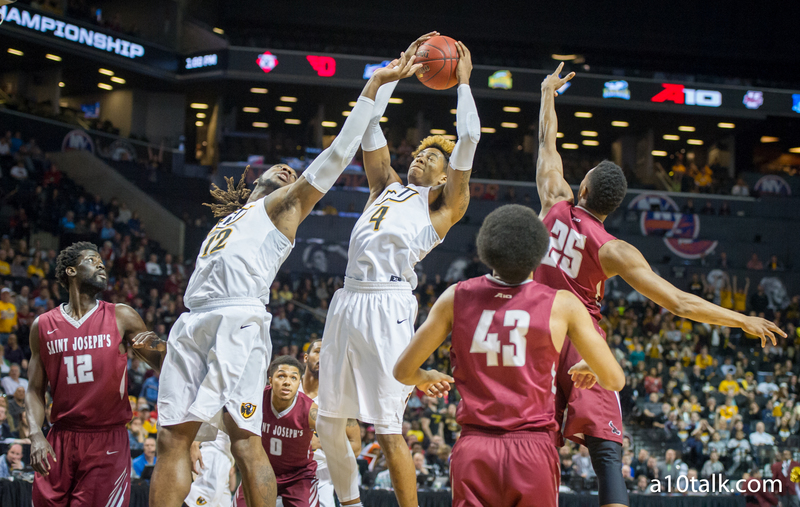 How effective can Jonathan Williams be as VCU’s starting PG? We know Jonathan Williams has gotten progressively better each season he’s been a Ram, but JeQuan Lewis is a tough guy to replace. This is from where my first questions stems. Lewis had the 14th best offensive rating in conference play last season, and most importantly, he was a legitimate threat from deep. Lewis scared defenders into playing him tight on the perimeter, meaning he’d have open lanes to drive and dish; this led the senior point guard to have the 5th best assist rate in the Atlantic 10 Conference last season. My concern for Williams is that his lack ability from deep won’t tighten defenses as much. Does he have the ability to penetrate defenses and kick to open guys on the wing? The Rams will have a plethora of shooting threats in De’Riante Jenkins, Issac Vann, and others. Williams’ distributive abilities will be vital. 2. How much of the scoring burden is placed on Tillman’s shoulders? This is the first time in a few seasons when I look at VCU’s roster and don’t see a definitive pick to lead the Rams in scoring. Last year, JeQuan Lewis was a pretty predictable candidate, as was Melvin Johnson in 2015-16. Tillman’s the projected leading scorer for the Rams, but I could see guys like Jenkins, Vann, or Lane taking enormous jumps and averaging the most points per game on this squad. A lot of Justin Tillman’s points last season were from second opportunities: rebound, put back, rinse, repeat. But this year, he may play the role of more of a traditional post. It will be interesting to see how much of VCU’s offense runs through Tillman. Whether he’s scoring on the block or dishing out to open shooters, I’m going to guess that Mike Rhoades makes it a point to get VCU’s center the ball almost every possession. 3. Are these transfers the real deal? I think this question’s been on a lot of minds in this league because VCU’s not returning a significant portion of minutes last season. Outside of Jonathan Williams and Justin Tillman, no one on this year’s roster has played a significant number of minutes in black and gold. This is where Issac Vann and Khris Lane in particular could be called upon to be big pieces. Both averaged big scoring numbers at lower levels of D1 basketball. I think both players have the talent, but how will that talent translate to the Atlantic 10?